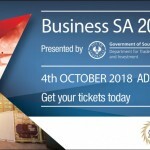 Innovact Consulting is honoured to be co-sponsor again with Soniclean of the 2018 Business SA Design for Export Awards. Thirteen Judges based in Asia, Australia, Europe, North America judged the high quality entries representing 17 industry sectors exporting to over 150 countries. Finalists and Winners will be announced at the Business SA 2018 Export Awards on 4th October 2018.